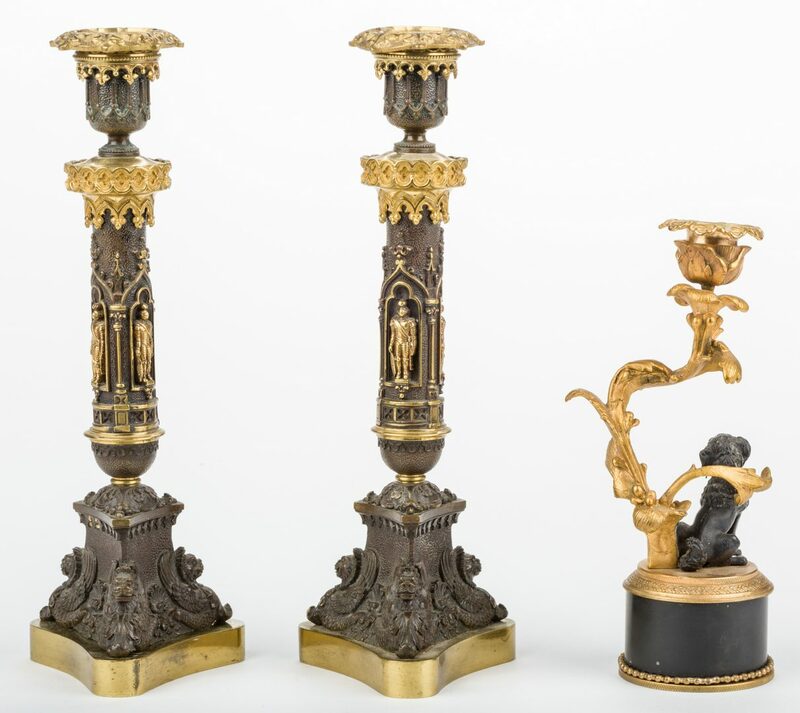 Three (3) Parcel bronze candlesticks. 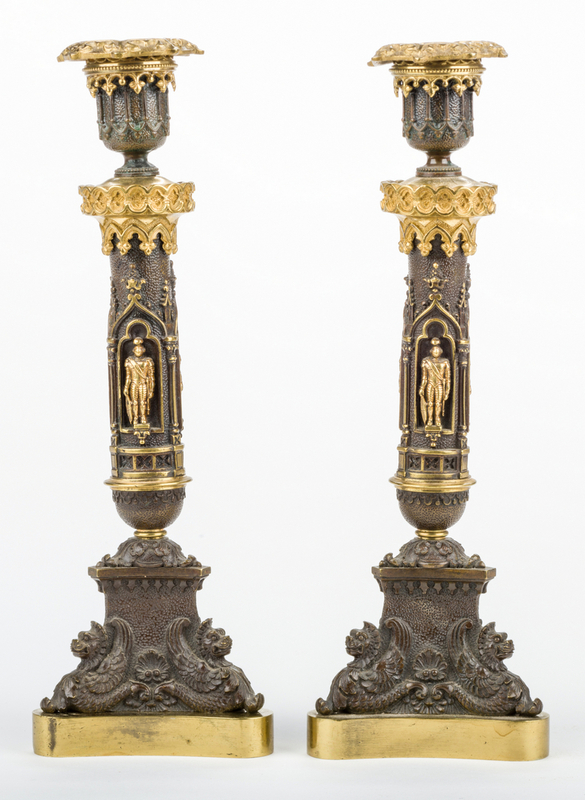 1st and 2nd items: Pair of Gothic Revival style gilt and patinated bronze candlesticks with trefoil and figural decoration to shafts and gargoyle decoration at bases. Removable bobeches. 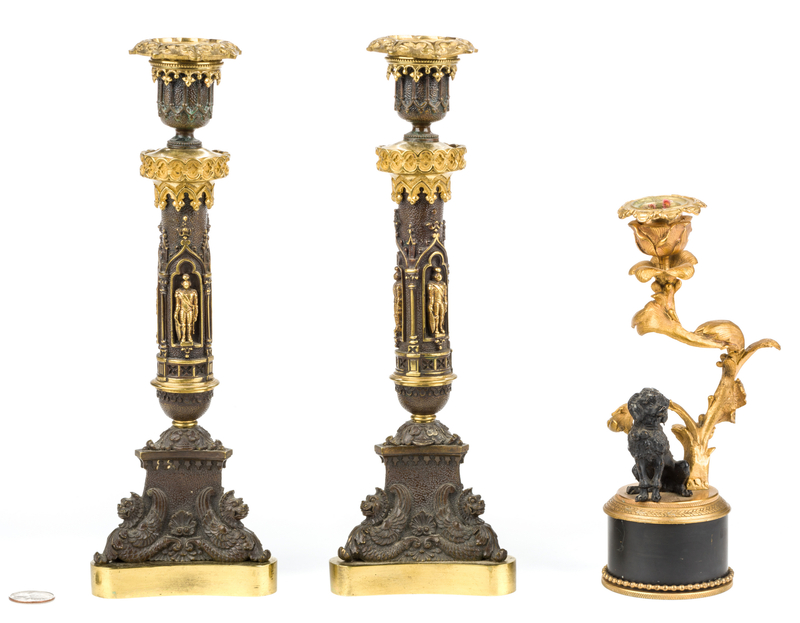 11 1/8"H. 3rd item: Gilt and patinated bronze candlestick with figural dog on base and naturalistic branch candle holder, all raised on a circular plinth with beaded and laurel banded edges. 8"H. All late 19th – early 20th century. 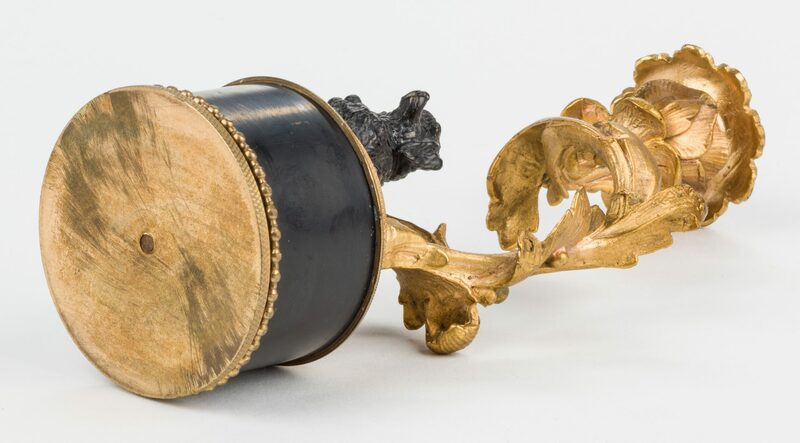 Provenance: Estate of Dr. Kirkland Wiley Todd, Nashville, Tennessee. CONDITION: Good condition overall with some light spots of oxidation and scratches. 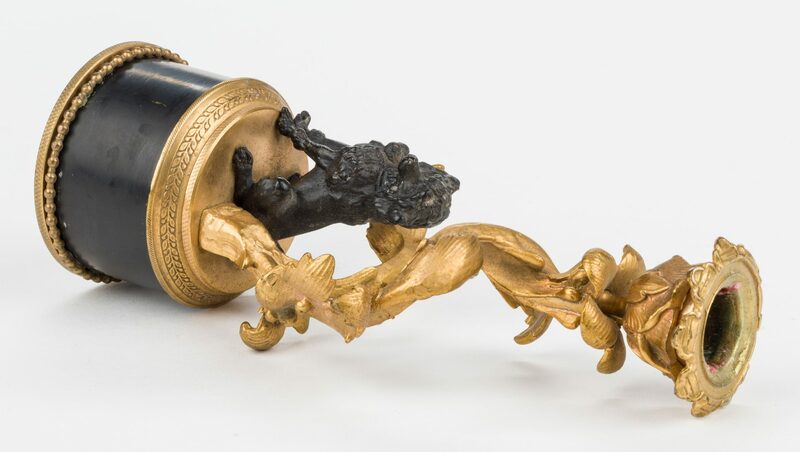 1st item: one candlestick is loose at base.